Dissolved gas analysis refers to the separation, identification, and quantification of dissolved gas species in a liquid sample. This is broadly conducted via membrane inlet mass spectrometry (MIMS), which utilises a submersible probe with a semipermeable membrane interface to measure dissolved gases in aqueous samples. MIMS tools have been successfully employed in fermentation monitoring and environmental analysis of the dissolved gas species in groundwater. Recent studies have demonstrated the potential for dissolved gas analysis of swimming pool water using Hiden Analytical’s HPR-40 DSA MIMS tool. The average bather can deposit billions of skin microbes into pool water during a single swim, alongside other organic compounds like sweat, urine, and faecal matter. Pool water is recirculated through filtration systems as part of the cleaning process but removing these small organic compounds demands an aggressive chemical cleaning agent like chlorine (Cl). However, chlorine is highly reactive with many of the common compounds found in pool water. It will readily react with urea in urine or sweat to form aggressive trichloramine (NCl3) compounds, which are responsible for the so-called chlorine-odour of swimming pools. Trichloramines are merely one example of a disinfection by-product (DBP) that can be hazardous to human health. Mono- (NCl) and dichloramine (NCl2) have also been linked to respiratory problems in swimmers, aggravation of the eyes, and they are believed to contribute to corrosion of metal components submerged in pool water. 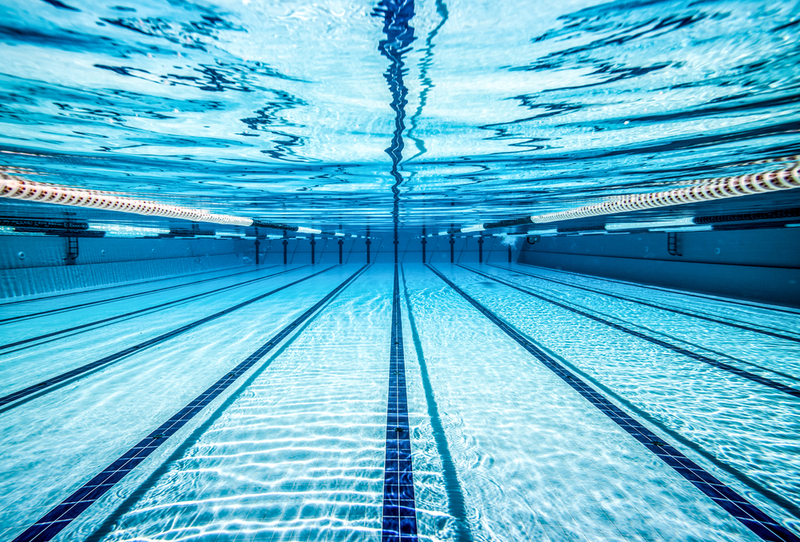 Various medical studies, including research into the incidence and distribution of infectious diseases, have demonstrated the adverse health effects of DBP exposure in indoor swimming pools. The MIMS technique can reliably resolve these issues by providing specific and ultra-precise analysis of DBPs in pool water. A recent study focused on the analysis of chlorine by-products in pool water, and the influence of varying physiochemical parameters, using the HPR-40 DSA MIMS system. This sensitive dissolved gas analysis tool is available with an extensive range of membrane inlets including flow-throughs with integrated thermocouple sensors for additional temperature monitoring, dual-probes for concurrent assessment of poor water and the headspace in a container, and probes optimised for enzyme kinetics analysis. Based on mass spectrometry the HPR-40 DSA MIMS system has limits of detection to < 1PPB and is user configurable to monitor multiple species. The system enables mass resolved identification and quantification of dissolved gas species in situ and in real-time. Data is acquired and displayed promptly for rapid dissolved gas analysis across a mass range of either 200, 300, or 500 atomic mass units (amu). Additional software packages enhance user control and improve application specificity, for example, optimising probes for varying pH levels. This study demonstrated the outstanding performance of the HPR-40 in the detection and quantification of DBPs in pool water with additional considerations for distinct analytical conditions, such as temperature and pH level. It could successfully detect low concentrations of DBPs in typical swimming pool operating conditions for both quantitative and qualitative pool water analysis. MIMS dissolved gas analysis can reliably detect and quantify the presence of chloramines and even more harmful trihalomethanes in pool water to improve pool water quality and provide a more pleasant swimming experience. If you would like to learn more information about performing dissolved gas analysis with Hiden Analytical MIMS tools, read our previous blog post Dissolved Gas Analysis for Measuring Dissolved Gases in Groundwater. Otherwise, contact us directly with any questions.